To give you a quick overview of all the parts that go together to make up the CoalaWeb Traffic extension I have written this short summary. It will help give you good understanding of whats included in the system as well as outlining what version each part belongs to. 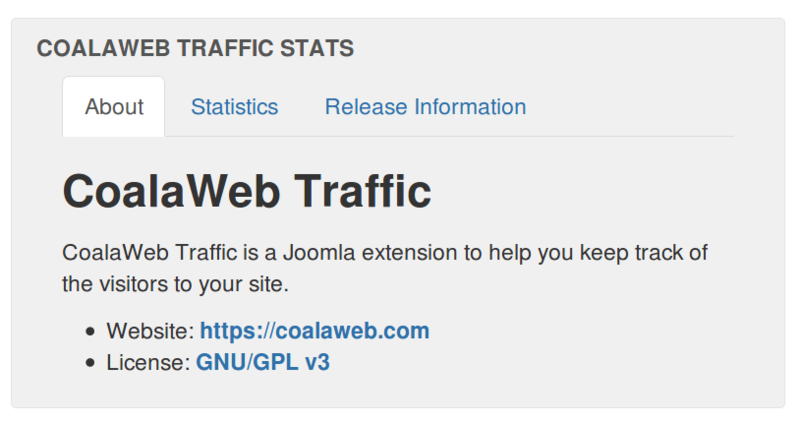 CoalaWeb Traffic is a Joomla extension designed to keep track of the visitors to your site. 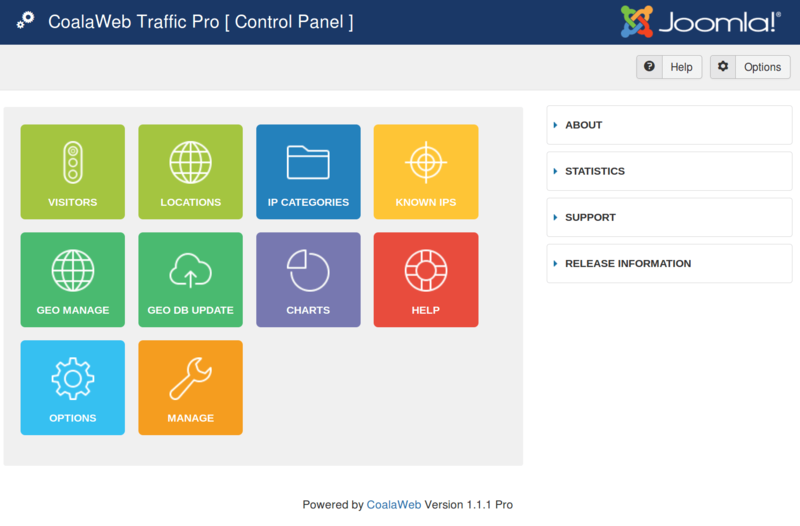 You can choose to display the modules and let visitors see and be amazed by your traffic or unpublish the module and view your website statistics in the Admin area. When installing all the parts of the system will be installed at the same time making installing, upgrading and uninstalling a breeze. This plugin is crucial to functionality of the system it quietly counts the visits to your site and then records them in the database. It allows you to count the traffic to your site even with the module unpublished and also ensures all traffic is record regardless of the part of the site that they visit.